26 - Mike Williamson, Bob Rub and Bob DeVita at 5:30 PM STOCKHOLM INN in Rockford, IL - Please call 815-397-3534 and reserve a table for dinner near the entertainment. 31 - Mike Williamson, Bob Rub and Bob DeVita at 5:30 PM STOCKHOLM INN in Rockford, IL - Please call 815-397-3534 and reserve a table for dinner near the entertainment. 18 - Mike Williamson sings with the Dekalb Municipal Band. It's a 8 PM free concert at The Dee Palmer Pavillion in Sycamore, IL. This years' schedule will be posted soon at the link. 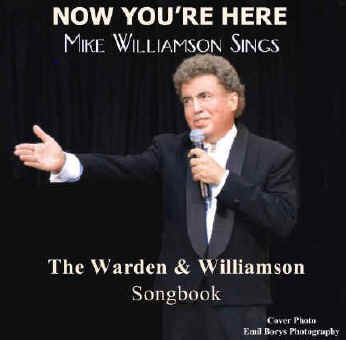 28 - Mike Williamson, Bob Rub and Bob DeVita at 5:30 PM STOCKHOLM INN in Rockford, IL - Please call 815-397-3534 and reserve a table for dinner near the entertainment. 21 - Mike Williamson, Bob Rub and Bob DeVita at Concert On The Creek in Rockford, IL. Show time is 3 PM. Click link for details. 8 - STEPPIN' OUT at WHITE PINES DINNER THEATER - Luncheon/Matinee with Mike Williamson, Patte Armato Lund and Bob Rub. Click HERE for informaion.